Emerging ag in Kenya: Farm Tours & Palmhouse Dairies - Blog | EmergingAG - Emerging Ag Inc. The Emerging team met in Kenya last month for our semi-annual team meeting. With the picturesque setting of Mount Kenya, 19 team members got together to discuss our many projects. We use this time to get input from different team members on certain issues they may not work closely on year-round. This adds new perspectives and value to our clients. After three days of meetings, a smaller group from the team took two days to tour multiple smallholder dairy farms in Kiambu and Kerugoya, rural areas just outside of Nairobi. These tours gave us an idea of the various challenges’ farmers face in Kenya, including access to resources (Kenya is in the midst of a drought) and waste management. In addition to farm tours, we were given a tour of Palmhouse Dairies, a dairy processing plant based in Githunguri. Owned and operated by Margaret Munene, Palmhouse Dairies creates milk and yoghurt products distributed in Nairobi. Margaret is incredibly passionate about her work, which I believe played an important role in her success. She was raised in Kiambu where her mother was a small-scale dairy farmer who kept cows mainly for subsistence. Margaret studied Agriculture and Crop Protection and worked at the Kenya Agricultural Research Institute (KARI) at the start of her career. When Margaret got married, she and her husband bought a few cows. This re-sparked an interest in dairy that begun when she was young. She spent her hours before work milking her cows and distributing her milk. Her dedication to her cows was her passion, and she eventually decided to leave her employment and focus on dairy fulltime. Palmhouse Dairies was set up in 1996 in response to the liberalization of the milk sector in Kenya. Prior to the setup period, milk processing was the preserve of the then Giant Kenya Co-operative Creameries (K.C.C) and there were regular milk shortages in the country. The factory was originally set up to process 500 litres of milk per day and has now grown to produce 10,000 litres a day. Growing from a small dairy farm to a dairy processing plant is no easy feat and proof-positive that Margaret is passionate, hardworking and meant to be where she is. Palmhouse Dairies has made Githunguri a small dairy-hub of sorts, with multiple processing plants based beside each other. In 2003, in addition to providing Nairobi with delicious dairy products, Margaret and her husband Eric Kimani started the “Palmhouse Foundation”. Initially, they set out to assist needy families and farmers who were supplying milk to Palmhouse Dairies in Githunguri. The support was unstructured and based purely on the desperate cases presented by farmers from the area. Their mission today is “to finance the secondary education of deserving students and mentor them through life”. The foundation started by selecting and supporting 6 students and has grown to over 700 students in 2018. Over 90% of these students secure university/college entry. After meeting Margaret and her husband, I left Kenya humbled and inspired. It was a reminder that there is always more you can do for those with fewer resources. I encourage all of you to learn more about their foundation here. With a passion for creativity, marketing and communications, Stefanie contributes to Emerging’s online communications and brand management, develops graphic visuals, and provides communications support to Emerging and its valued clients. Stefanie has grown up in a family with a long history in agriculture. Her family roots and exposure to farming and agri-business has nurtured a natural love for the industry and the wonderful people who work in it. 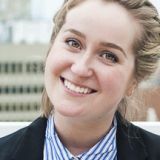 Prior to joining Emerging, she has gained career experience working with Parks Canada in a Promotions and New Media role and developed skills including videography, advertising, marketing, social media and graphic design. Stefanie is a Canadian national and speaks both French and English. She graduated from Ryerson University in Toronto, Ontario, with a Bachelors Degree of Design. Stefanie attended the Copenhagen School of Design and Technology where she specialized in Sustainable Communications which included sustainable design, communications and marketing. Stefanie has spent time living in both Denmark and Rome, and is currently based in Winnipeg, Manitoba, Canada. Jul 26, 2016 IFT16: Winners get the opportunity to share their pulse innovations at the largest food technology event of the year!